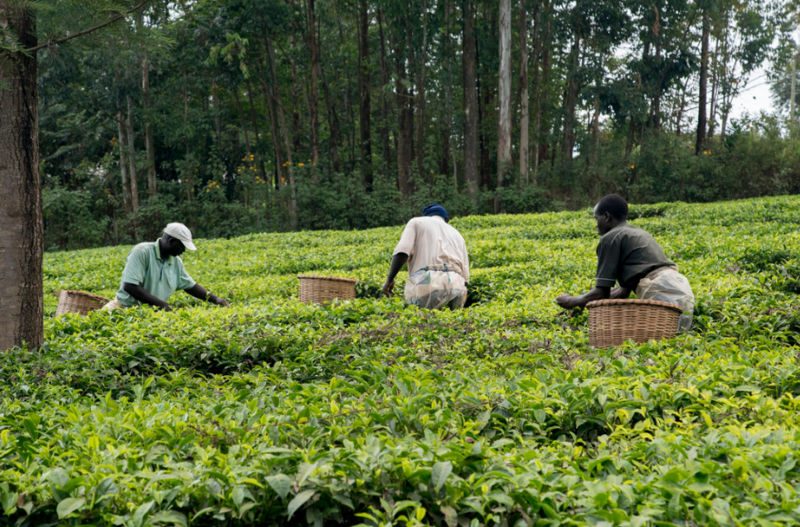 In the early phases of the structural transformation, where most African countries currently are, agriculture absorbs labor. This has been true and documented historically: Taiwan in the mid-20th century; China from 1978-1990; in India until 2005; Vietnam until 2014. Agriculture in Africa is also absorbing labor now (Figure below). The agricultural labor shares decline; yet the absolute numbers of people employed in agriculture still increase. This remains an underappreciated stylized fact of structural transformation. 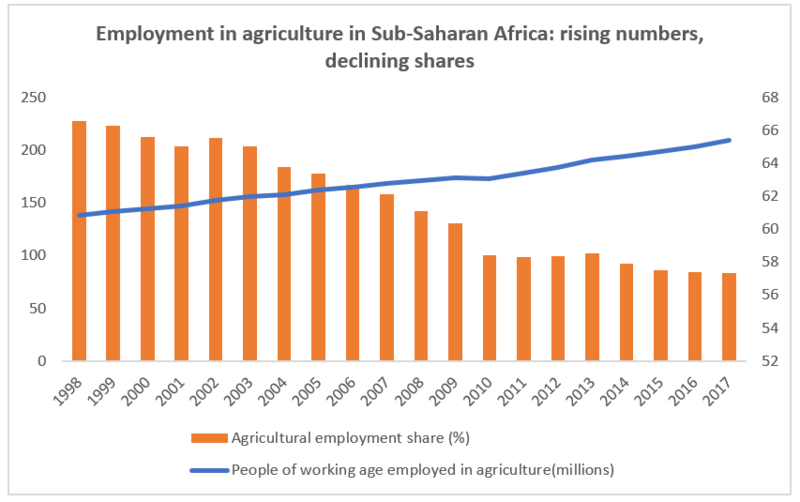 That Africa’s agricultural labor force continues to rise in numbers while the share declines is therefore not anomalous. Quite the opposite—an absolute net flow of labor out of agriculture would be extraordinary given the size of the agricultural labor force relative to the receiving sectors of services, construction, manufacturing and mining. Even as these sectors grow and absorb labor, they are not yet large enough to support a net reduction in number of people employed in agriculture. The period of absolute increase and relative decline in Africa’s agricultural labor force is likely to be prolonged given Africa’s slow demographic transition and the associated slow per capita income growth. Out of the slightly larger than 3 percentage points annual increase in Sub-Saharan Africa’s demand for food (in volume), about 2.6 points still come from population growth; the remainder from urbanization and income growth. As incomes rise, the share of income going to food further declines, the demand for non-food goods and services increases more rapidly, and farm exits accelerate. This productively frees up labor for non-agricultural production, at least if agricultural labor productivity also increases. This blog was originally published on the World Bank's Jobs and Development Blog. Luc Christiaensen is a lead agriculture economist in the World Bank’s Jobs Group and an honorary research fellow at the Maastricht School of Management. Karen Brooks is a former director of the CGIAR Research Program on Policies, Institutions, and Markets (PIM) and a former Sector Manager, Agricultural Operations, Africa Region, The World Bank.